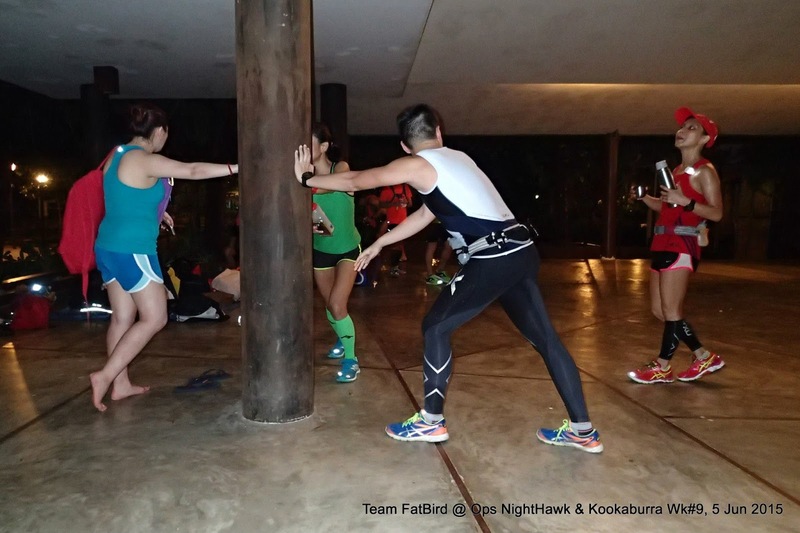 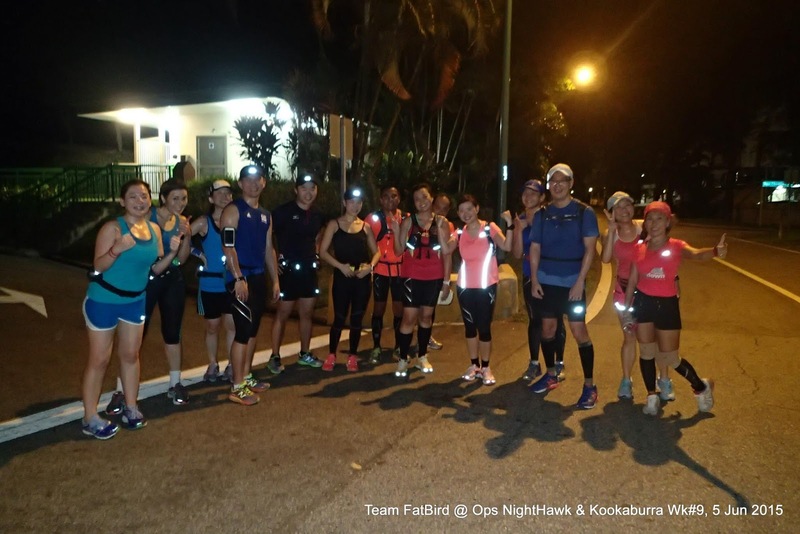 In Week #9's training, the Kookaburras were tasked with their longest paced run (Marathon Pace) of 35km for the Full Marathoners and 21km for the Half Marathoners. Because of the SEA Games that is currently happening, we made a swap of training locations with that of ECP/Gardens By The Bay to have our longest training run at the fringes of the 3 Reservoirs, starting off from MacRitchie Reservoir Park. 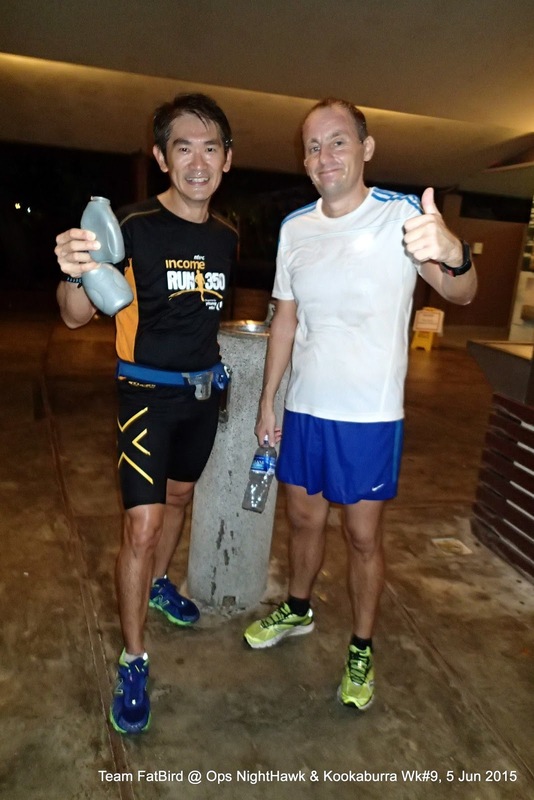 The turnout was subdued due in part to the opening ceremony of the SEA Games as well as the weekend's Muar Marathon in Malaysia where we have a number of trainees and trainers participating. 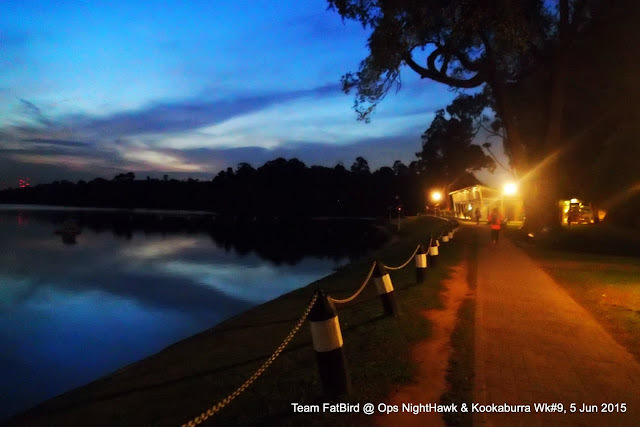 The evening started well with the trainees coming in early to collect their coveted Kookaburra training tees which came in very nice colours. 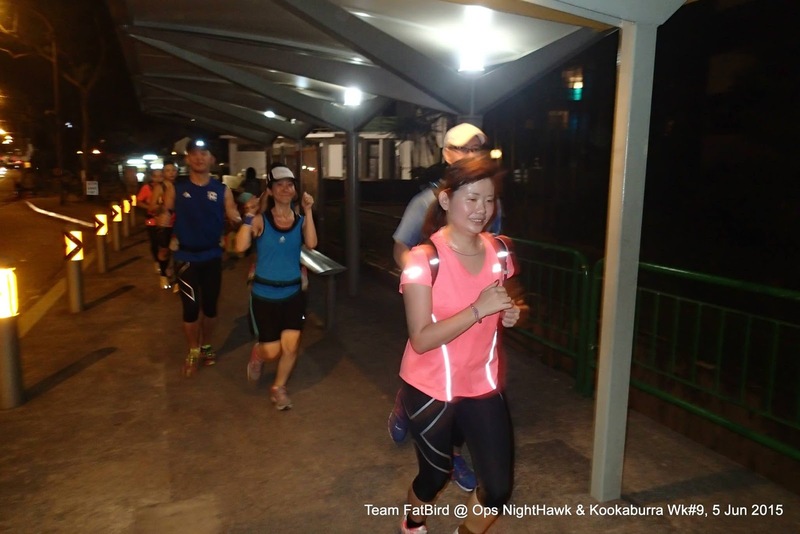 Some of the trainees put on their training tees immediately for the night's long run. 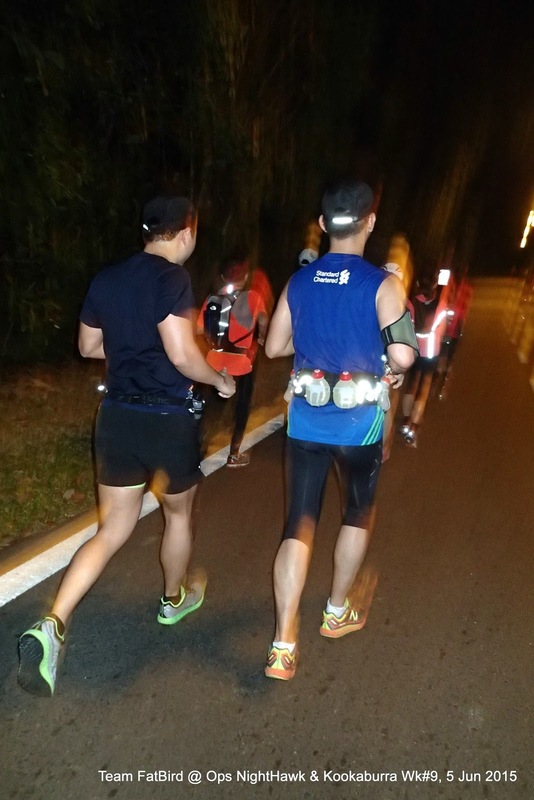 After a quick briefing, we pushed off in respective pace groups along Thomson Road towards Peirce Reservoir Road. A string of blinking lights worn by the Kookaburras could be seen clearly, and were useful as guiding light for the following runners. The night was cooler than last week's at ECP/Gardens, due mainly to the heavily forested reservoir areas which gave off cooling gases. There were also mild drafts of wind which provided us with quite a refreshing run. 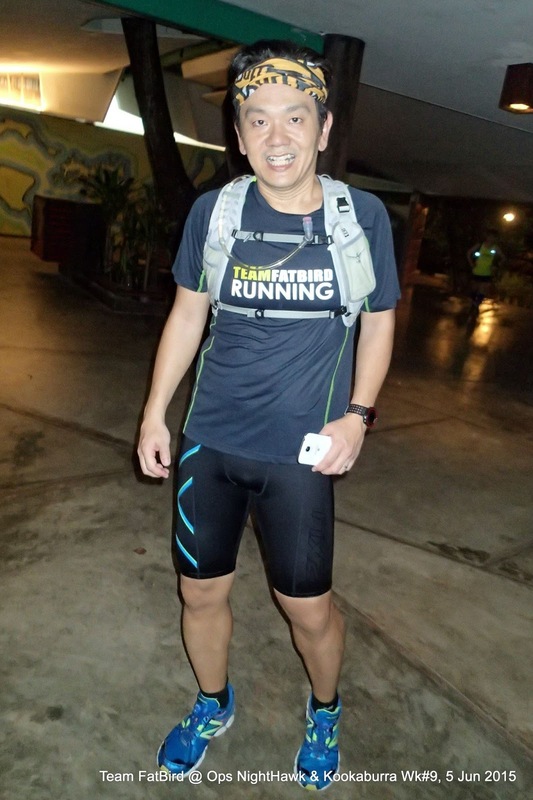 Instead of turning into Executive Golf Course and Seletar Reservoir, we headed straight on along Upper Thomson Road, Sembawang Road passing Nee Soon Camp. 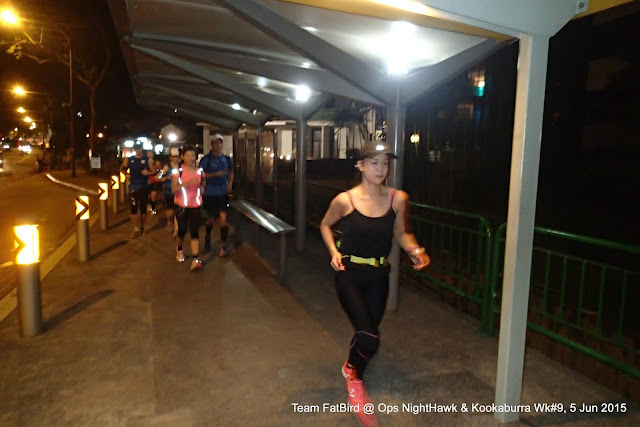 The FMers parted ways with the HMers at the Maindai Link/Yishun Ave 2 junction as that was the U-turn point for the HM runners for their 21km distance requirement. 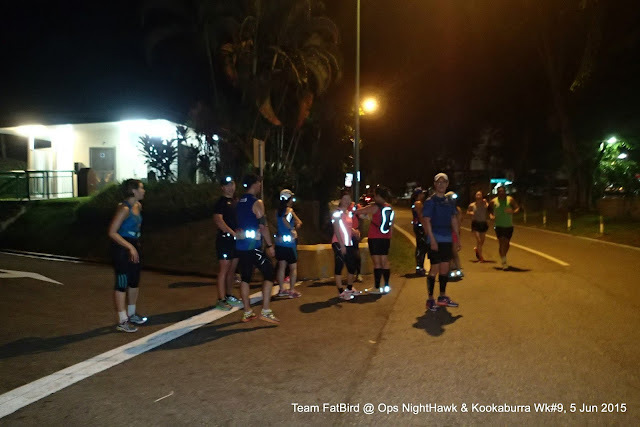 The FMers continued along the rather long Mandai Road at steady paces on the rather comfortable running surfaces. It was a mild rolling terrain along that long stretch before we hit the large signboard at the entrance to the Mandai Zoo/Night Safari. 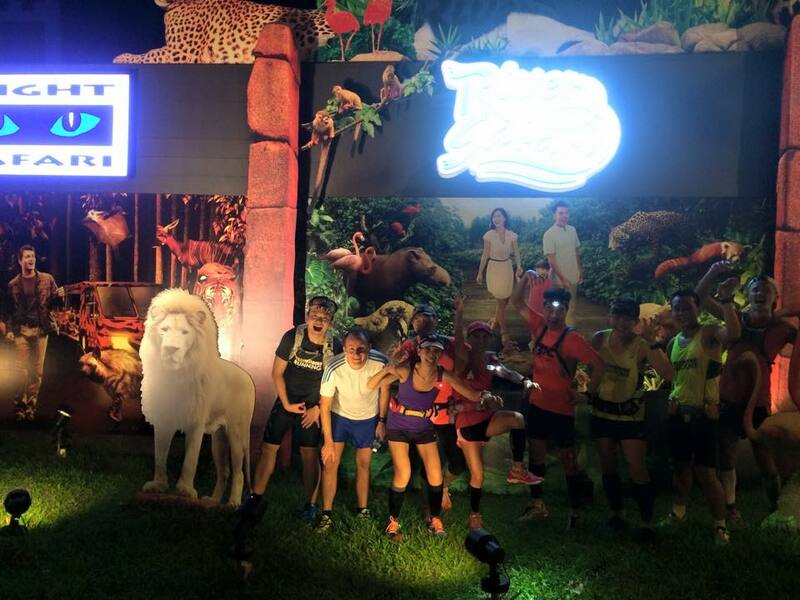 Groups 1-3 continued on till we reached the Zoo toilets for a total distance of 17.5km before taking a break at the toilet and drink fountain. There was hive of activity with tour buses and tourists coming out of the Night Safari after their mystic adventure with the night animals. 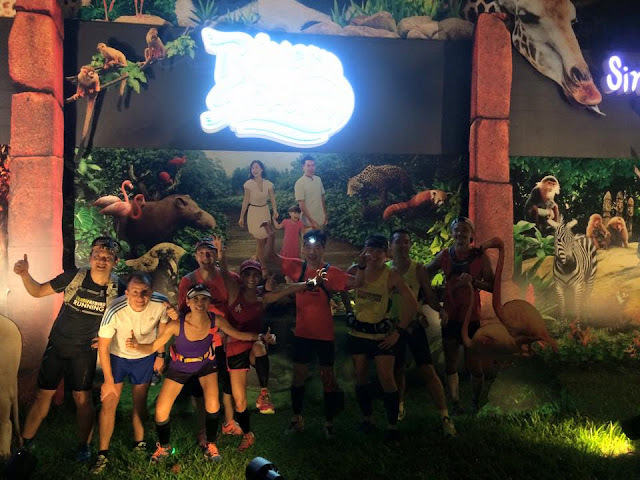 After a good water break, the groups headed back out to the signboard, With good timing banked in, some groups were able to spare some time to take a few candid group shots with the wild nature billboard and some funny animal poses. 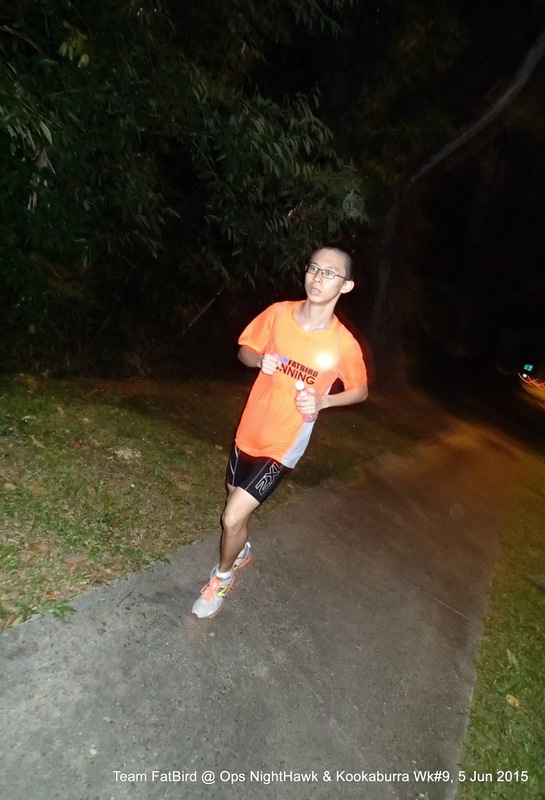 With good execution of their individual fuel and hydration plan, the trainees were looking strong up to the 21km mark. 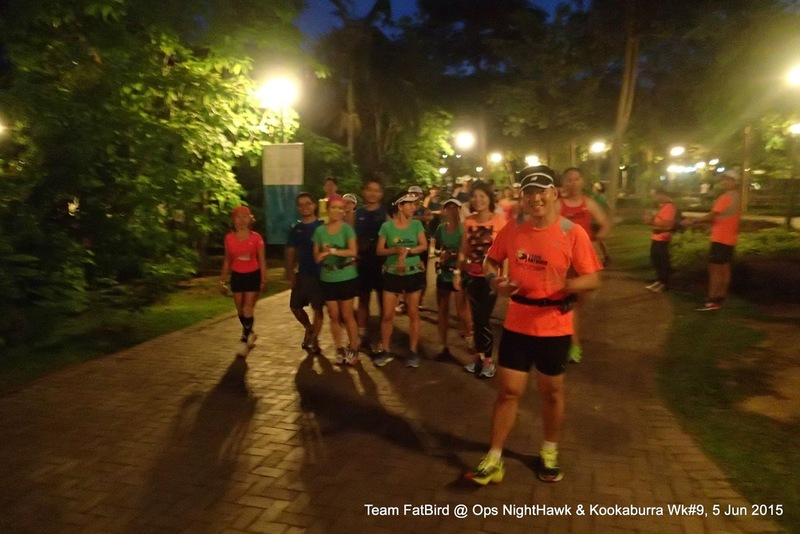 Some of the runners even upped their paces slightly to attempt to run a negative split, in preparation for the next few training session's Optimal Pace requirement. As we ran as groups along the longish Mandai Road back, it was still pleasant as we had each other for motivation and encouragement. We did pick up a couple of straggling birds along the way, and with encouragement, they continued to push on till we hit the next milestone near Nee Soon Camp where they could get some iced-cold isotonic drinks from the small provision shop. 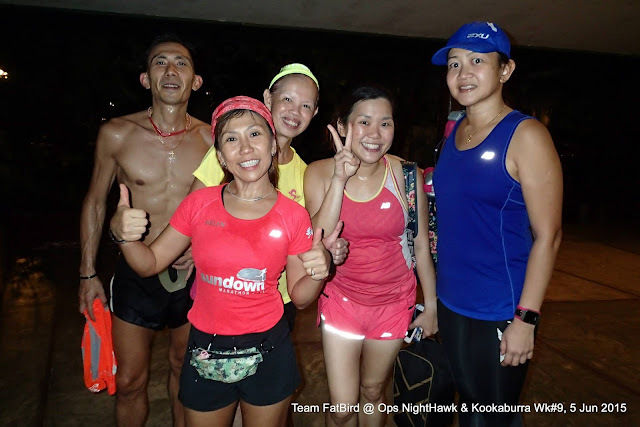 By the time we re-entered Old Upper Thomson Road, the spirits were high as we meandered along the quiet road and there were a number of sightings of the Wild Boar pack (about 15 animals) moving along the forest fringes. 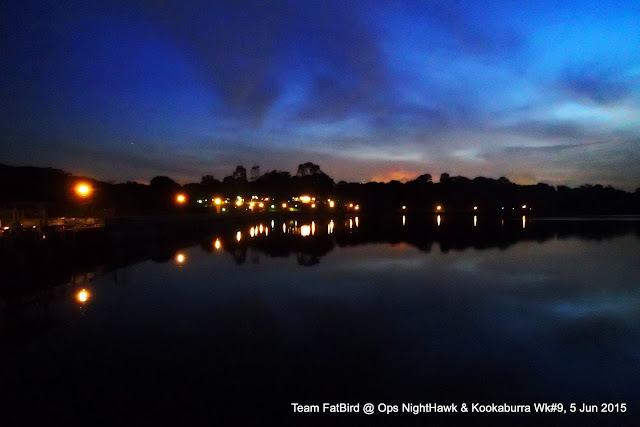 The soft strides of the Kookaburras along the OUTR in the quiet of the night provided the tempo for us to keep to Marathon Pace and enjoy the remaining segment of the return route. 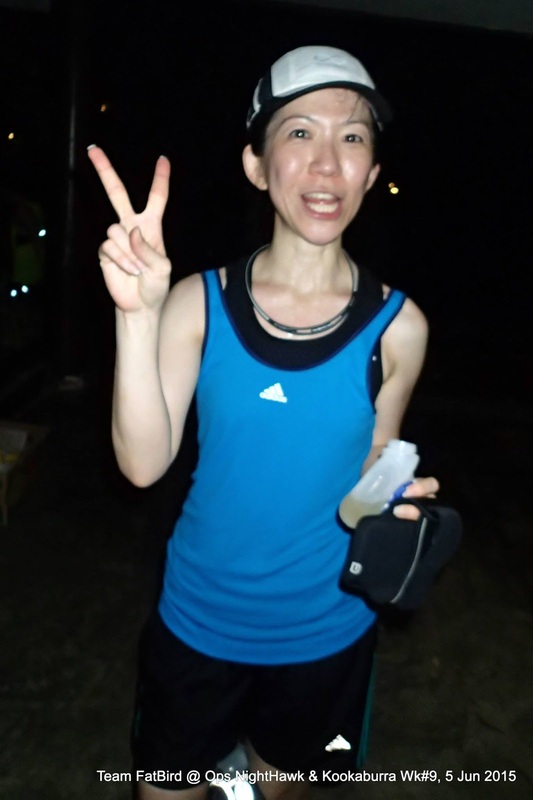 Soon, we reached the Lower Perice Reservoir Toilet. A quick check of the distance told us we have completed 31km and we were still feeling rather strong. With just 4km+ left to complete the night's run, all were very motivated as we ran all the way back to MR Amenities Centre with chit chats and easy breathing. 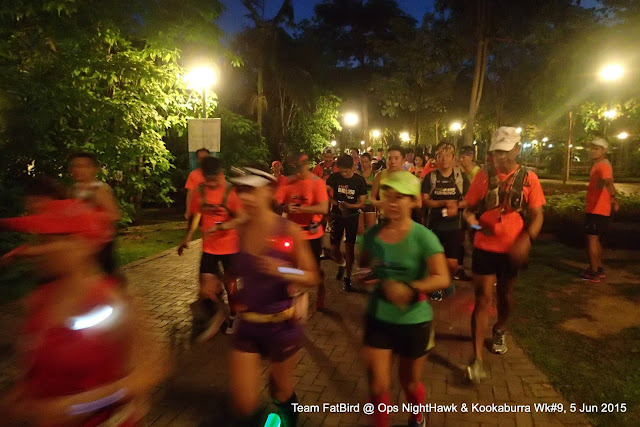 Although the legs were tired, which was understandable at that stage, we did not feel like they were broken and many of the runners could actually run another 10km for a complete FM should they be asked. 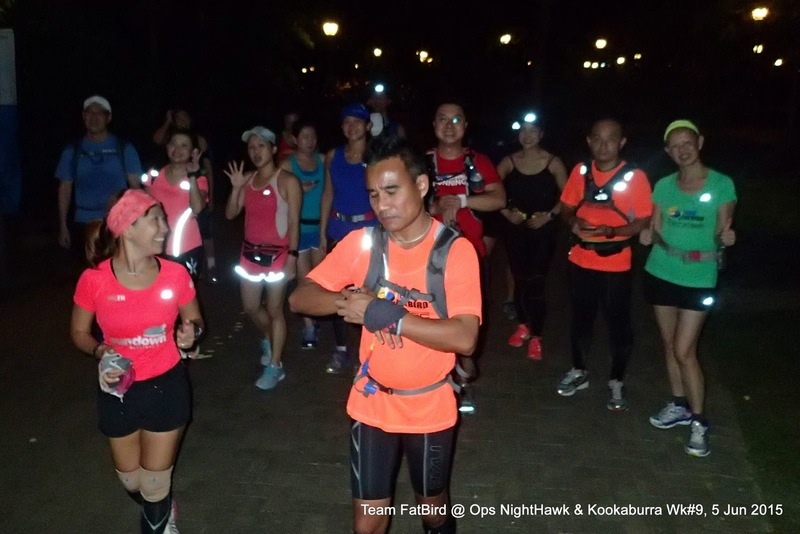 All the groups reached back to the end point before the stroke of midnight, feeling very happy and satisfied they had accomplished 30km-35km of running at MP. 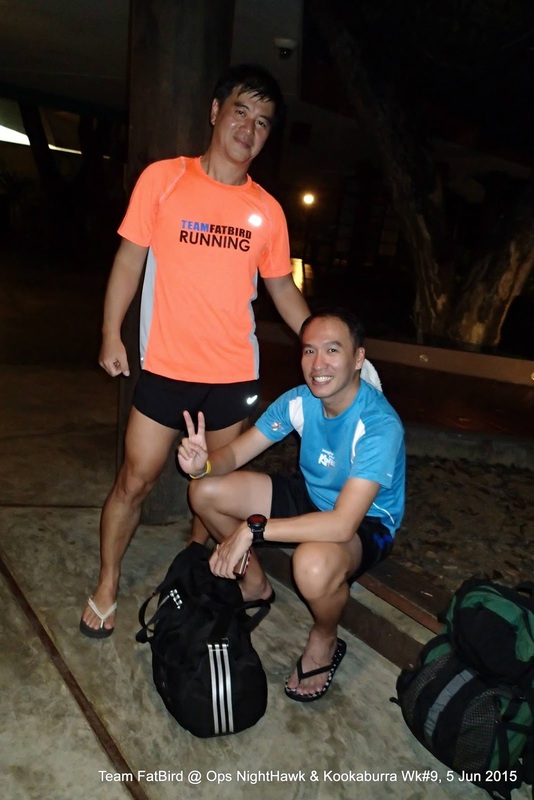 We will be entering Optimal Pace training from next week with one more 30km run before going into the Tapering Phase. 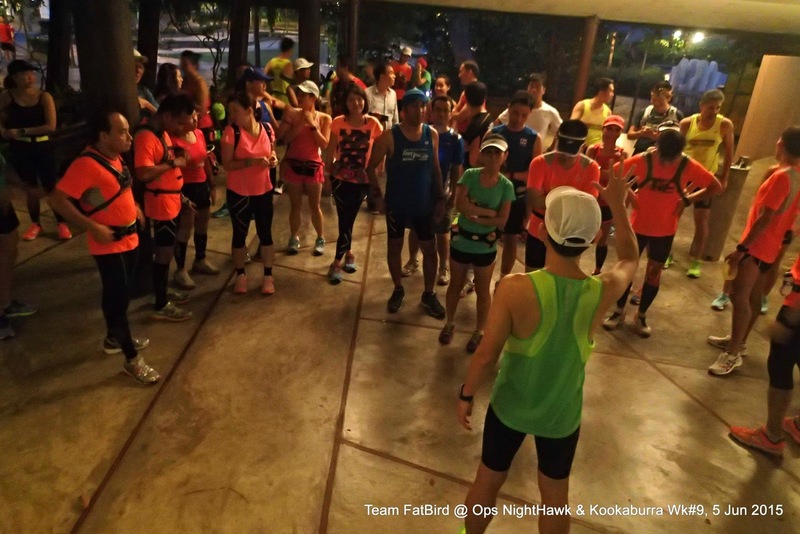 Those trainees who have missed the longest run in week #9 are encouraged to come for next week's run to have better conditioning and preparedness for race day on July 5. 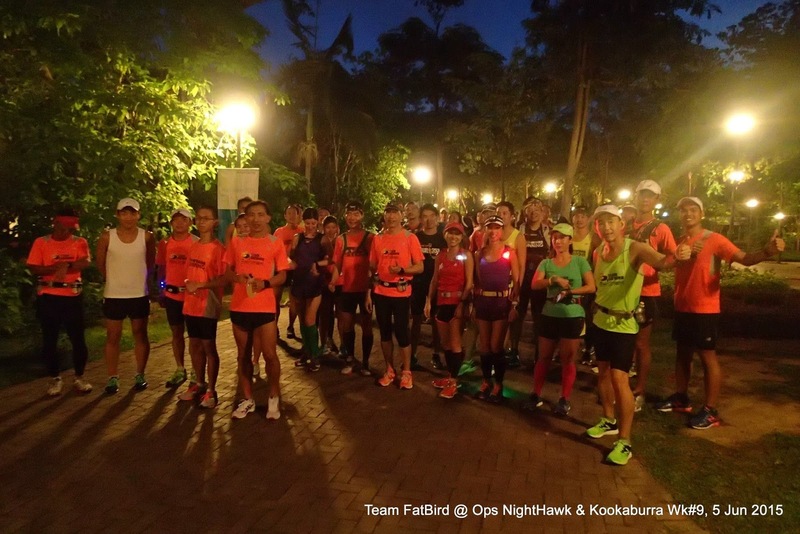 The Kookaburras Have Completed The Longest Run!